Construction on the Capitol began in 1793 and ended in December of 1863. William Thornton, whose two-wing design, one for each house of Congress, immediately caught the eye of George Washington. 2002 Capitol Dome Ornament, standing 2 �" x 2 �" x 4", was born from stone slabs saved during the reconstruction of the east stairs of the Capitol. 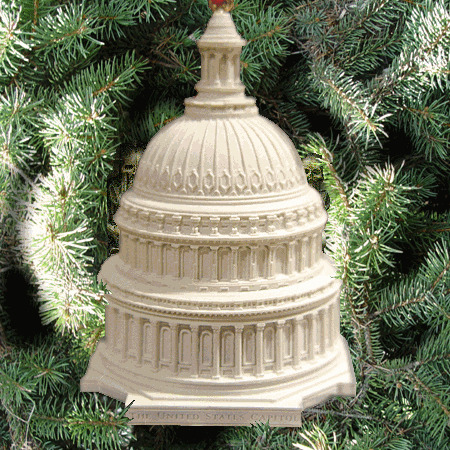 This beautiful recreation of the Capitol building makes a perfect stocking stuffer.